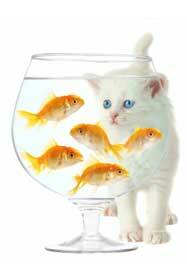 Manx Cat Breeders Directory - O Kitty! Manx kittens and cats for sale from a CFA registered Manx breeder. Manx breed information, descriptions, myths, and pictures. 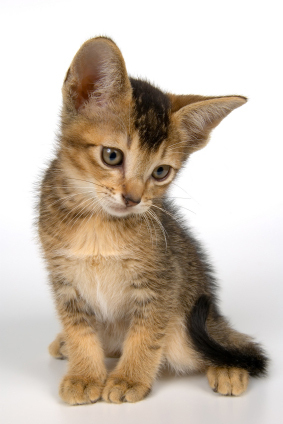 How to buy or acquire a Manx kitten or cat. We are a small CFA registered Manx cattery located in the greater Toronto area of Ontario, Canada. We do NOT ship internationally at this time. Mystic Tails is a closed cattery with no stud service. Your source for stubby, rumpy, and just downright adorable kittens! 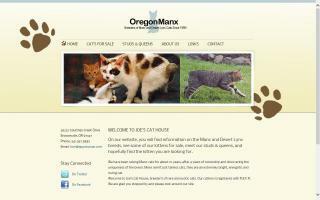 Raising Manx cats for 10 years in the Willamette Valley in Oregon! You'll also find kittens for sale, Desert Lynx, and Appaloosas! Vermont breeders of CFA registered Manx cats. Home of international and regional winning Manx cats. Manx cats, kittens, breeders, and tailless cat information in North Carolina by Vagary Mews Manx Cats. ZNoTailz Manx Cattery in California. Here at ZNoTailz, we are committed to the preservation & promotion of the finest purebred pedigreed registered Manx - one of the "original feline breeds". We are dedicated to providing healthy, fun-loving cats that will become special members of responsible families. We only have a few litters each year. Occasionally we have retired, altered, young, and healthy Manx adults available & discounted to good homes where they can have their very own special "lap-time". We hope you will enjoy your visit to our web site, and please feel free to contact us with any of your questions. AnaManx is a small family cattery working with the Manx cat breed located in the beautiful Blue Ridge Mountains of Virginia. Breeding and raising beautiful Manx kittens and cats true to type. 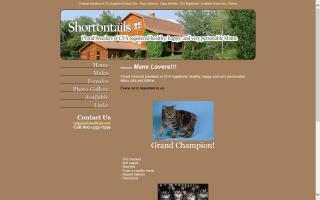 Website includes information, kittens available, a breed profile, and photos. Manx cats & kittens. 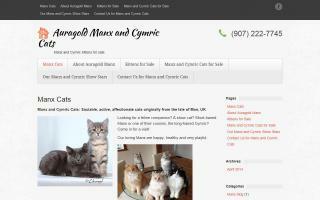 Manx cat breeder in Hampshire, UK, breeding white, silver, red silver, and black smoke Manx cats. 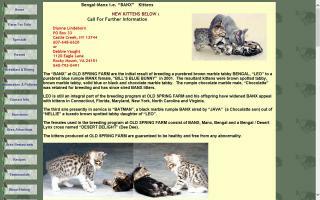 Breeding Manx, Isle of Man, Japanese Bobtail, and British blue cats. "A Tail, No Tail, and Bobtails"
Danzante Manx cats & kittens. 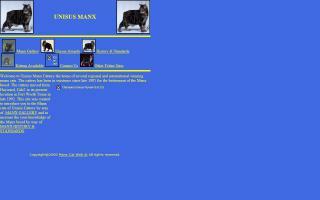 Manx cat breeder in Derbyshire. 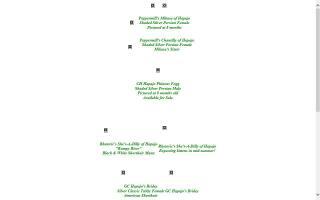 We have been specializing in the Manx breed since 2001. We are solely dedicated to the preservation and the betterment of the Manx breed as a whole. 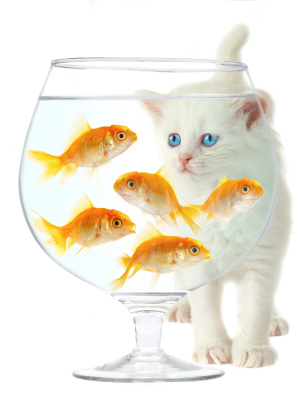 Our cattery is conservative and small as to only keep a home-like, loving environment. We pride ourselves in providing quality rather than quantity when it comes to our cats. Our cats are from national and breed winning lines. 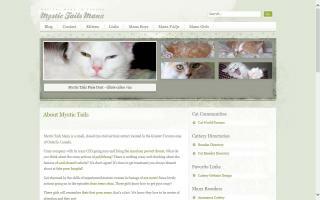 Feline Manor is a boarding cattery for felines and a Manx breeder based in Morrinsville.